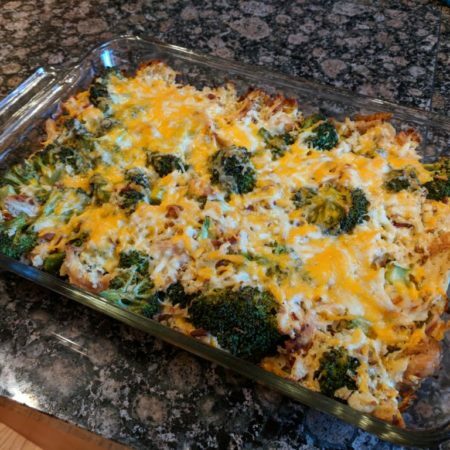 This easy low carb chicken casserole is a great way to feed the family something healthy. It is also a great way to make use of leftover rotisserie chicken. Check the very bottom for a tool tip for making shredding meat super easy! 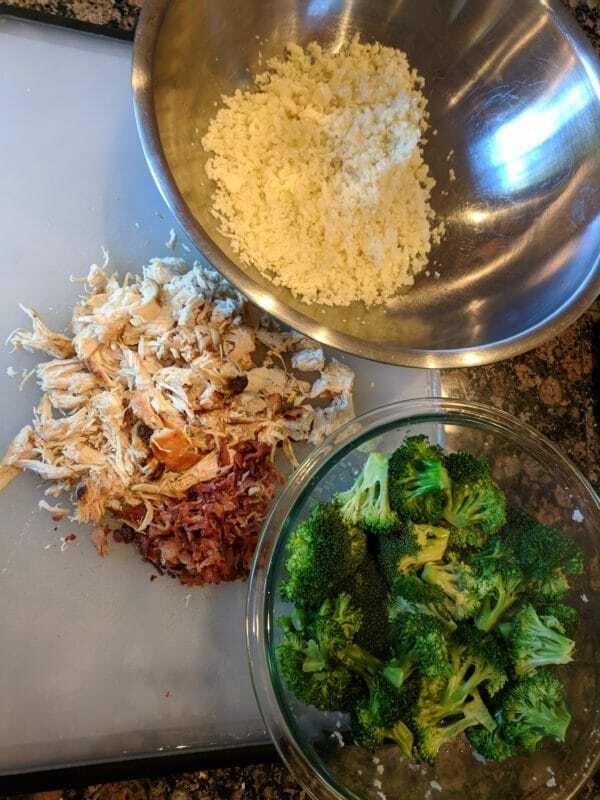 While the cauliflower and broccoli is steaming, fry the bacon until crispy and chop/crumble into small pieces. 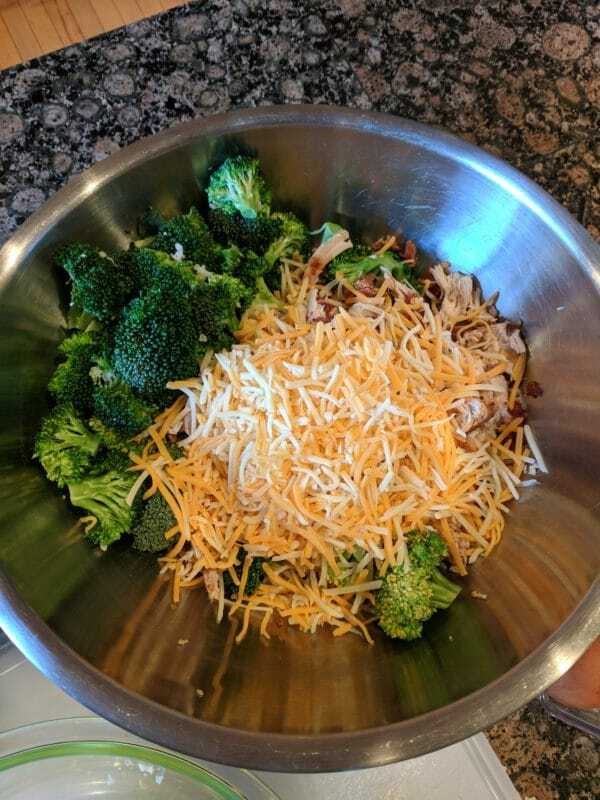 In a large bowl, combine all of the ingredients reserving 1/2 cups of cheese. 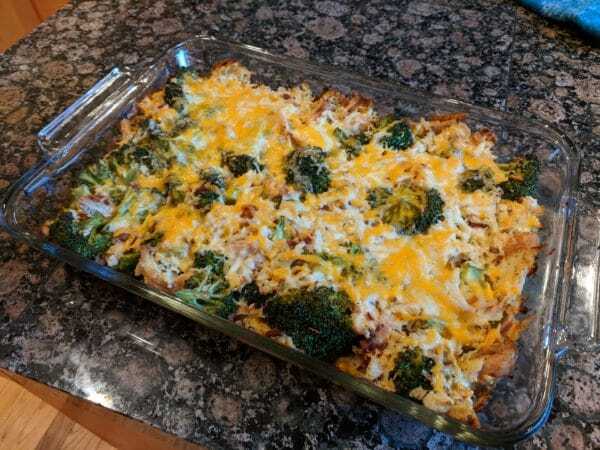 Spread the mixture into a 9x13 baking dish and top with reserved cheese. Riced Cauliflower is very easy to make. Simply run it through your food processor or use a cheese grater to break it up. What I do with this recipe is start the bacon frying, then start ricing the cauliflower. Then I put the cauliflower in a microwave safe bowl, cover and microwave for 5 minutes. No water is needed. While that is cooking I break up the broccoli and get it ready to steam. When the cauliflower comes out I microwave the broccoli for 5 minutes. When it comes to shredding chicken or any other meat, I HIGHLY suggest getting a pair of Bear Paws. They are hands down the best tools I've used for shredding meat.